Tomorrow is it’s upon us The Ÿ.Ø.Ū. Revolution Pre-Funk is here. 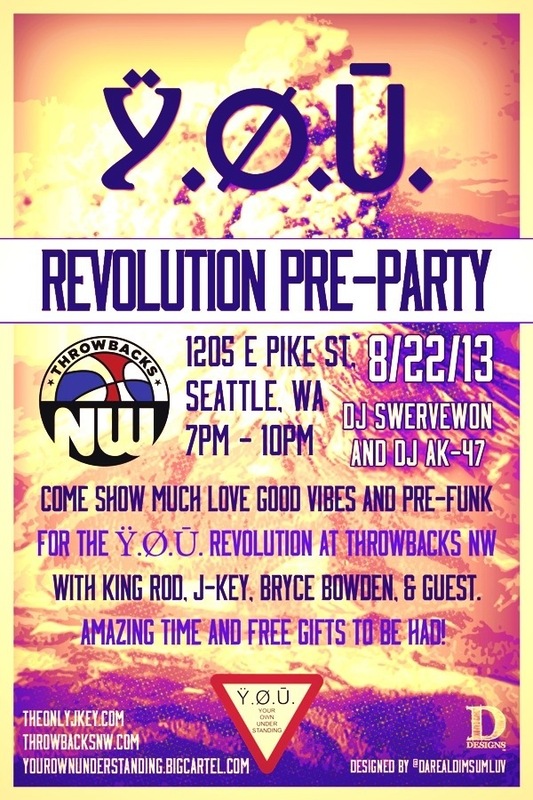 At Northwest Throwbacks 1205 E Pike, Seattle, Wa the Revolution begins.